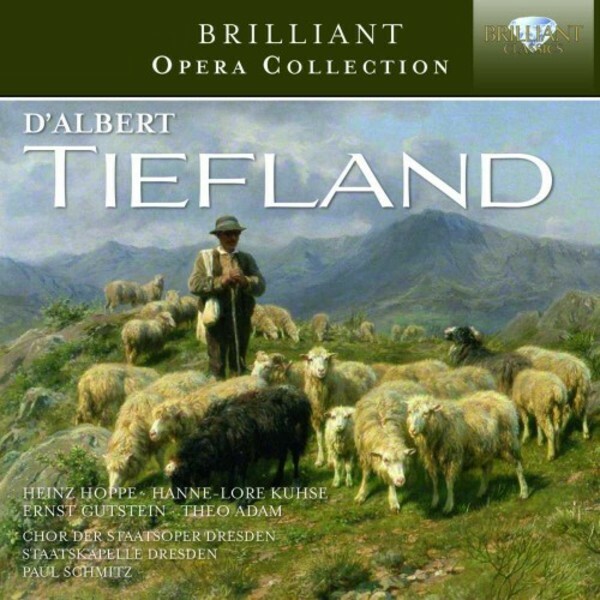 A gem from the vaults of the East‐German archives: the opera Tiefland by D’Albert. Eugen d’Albert was a pupil and protégé of Franz Liszt. He embarked on a successful career as a piano virtuoso. As a composer he was deeply rooted in the German culture, and fell under the spell of Richard Wagner. As a conductor he was Kapellmeister in Weimar. The opera Tiefland is d’Albert’s masterpiece - it is regularly staged, and its late romantic Wagnerian language never fails to impress and enchant. There is a stellar cast in this production from 1963: Theo Adam, Ernst Gutstein, Heinz Hoppe and Hanne‐Lore Kuhse, with the glorious Staatskapelle Dresden conducted by Paul Schmitz. The booklet provides liner notes on composer and music.